Project 25 (P25) refers to a suite of standards for digital radio communication produced through the joint efforts of the Association of Public Safety Communications Officials International (APCO), the National Association of State Telecommunications Directors (NASTD), selected federal agencies and the National Communications System (NCS), and standardized under the Telecommunications Industry Association (TIA). 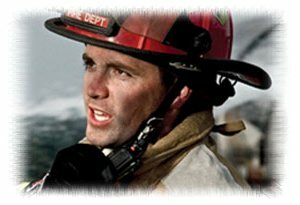 The P25 suite of standards involves digital Land Mobile Radio (LMR) services for local, state/provincial and national (federal) public safety organizations and agencies. These standards are endorsed by public safety users, industry associations and mission critical equipment manufacturers to define the functionality and interfaces that are needed to ensure interoperability between multiple Project 25 equipment manufacturers. Although developed primarily for North American public safety services, P25 technology and products are not limited to public safety alone and have also been selected and deployed in other private system applications, worldwide.